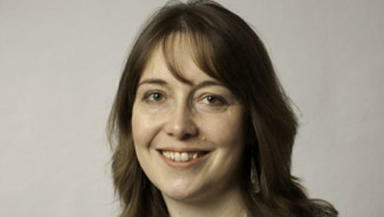 Election 2010: SNP MP Eilidh Whiteford is elected to represent Banff and Buchan. Dr Eilidh Whiteford has continued SNP’s reign in Banff and Buchan, holding the seat the First Minister Alex Salmond vacated to concentrate more on his role within the Scottish Parliament. The constituency has been an SNP stronghold since it was captured in the 1983 General Election. Dr Whiteford was born in Aberdeen and grew up in Macduff. She was educated at Banff Academy and Glasgow University, where she became involved in the Federation of Student Nationalists. She went on to sit on the SNP National Executive and acted as party spokesperson for Higher Education. She graduated with a First Class Honours in English and Scottish Literature, which she followed up with PhD postgraduate studies in Canada and Scotland. Dr Whiteford became co-ordinator of the Scottish Carers’ Alliance, a network of carer, disability and children’s organisations promoting the interests of unpaid family carers. She has worked for Oxfam as a policy advisor and campaigns manager. She is also a Director of Turning Point Scotland and Jubilee Scotland in a voluntary capacity.